I'm so proud of Camille. A couple months ago she announced that she didn't really want to do this any more; that maybe dance wasn't her thing. I'm ok with that, but she'd already worked so hard and I wanted her to be able to reap the rewards of her hard work. We talked and she decided she wanted to do the recital. The last couple weeks she's had to get in full costume including hair and make-up four separate days. 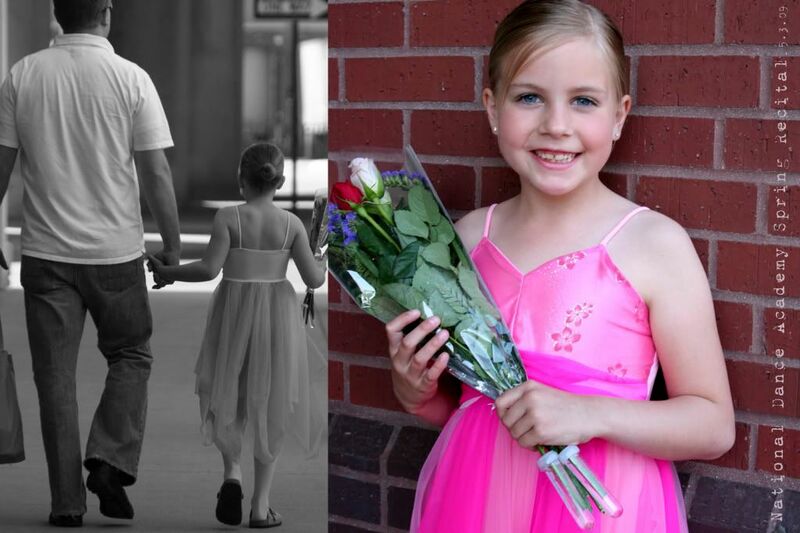 It's been a long time coming, but another dance recital is finally behind us. Camille did good. I think it might have been her best performance yet. Pictures weren't allowed during the performance, so we took them afterwards. By that time her hair and make-up were shot, but I wanted to document this moment at the US Cellular Center. Since the flood they've had to change the location of the recitals since the Paramount Theatre was flooded. We'll have to see how Camille feels in the fall. She said the same thing about quitting this time last year, but after she watched the older girls perform she was ready to do it again. This year was similar except she hasn't said yes yet. She mentioned maybe wanting to try gymnastics. We'll have to wait and see. I'm glad she stuck it out and gave it her all. I think it's important to at least let them have the experience to be able to decide if they like it or not. I had mentioned to Camille that mother's are so proud of our children for trying. I shared how proud I felt of Rachel when she went a played at the Music Competition at Kennedy after only 6 months of learning how to play. To top it off, Rachel was very sick that day. I was so proud that Rachel simply got in the van to go. Then when she played and did her personal best, that was icing on the cake. Camille seemed to like that story and I'm so glad you supported what I told her just prior to the recital. Yeah!